Ceramic Wall Tiles Poster series in 300x450 and 300x600. we have Poster Series Wall Tiles can be used to decorate the walls with effortless ease. 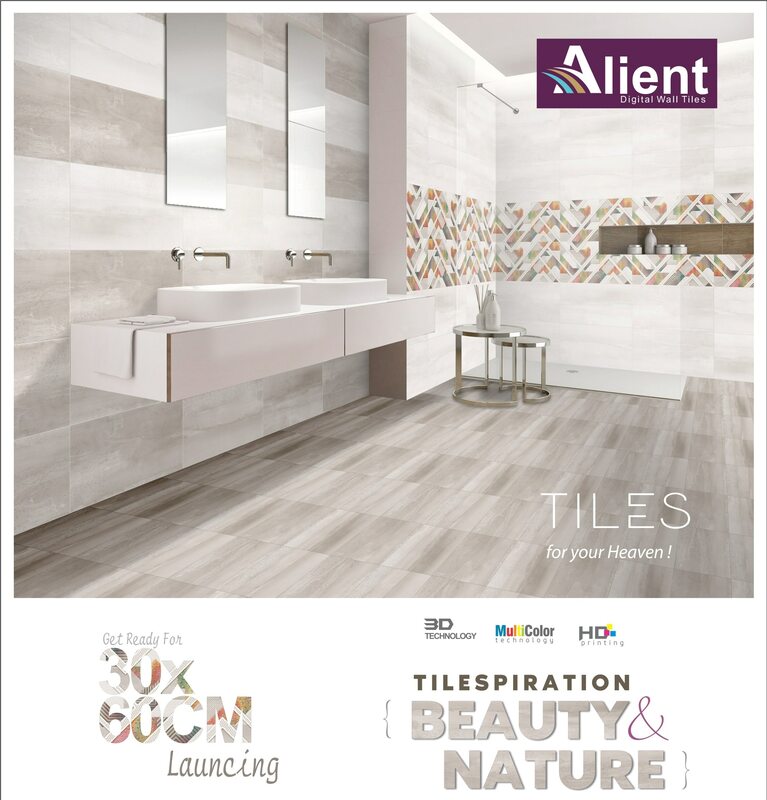 Our clients can select from an exclusive range of Poster Series Wall Tiles. Wide range of Poster Wall Tiles. High Depth Elevation Wall Tiles Manufacturer and exporter in morbi. High Depth Wall Tiles 300x450mm and 300x600mm. Elevation Wall Tiles in Glossy or matt or hardmatt. Soluble Salt Nano Polished Tile - Soluble Salt Nano Vitrified Tiles. Soluble salt tiles 600X600mm can be placed in low traffic areas. We have the unmatched range of choices to offer within soluble salt nano polished tiles. Soluble Salt Porcelain Floor Tile, normally known as only soluble salt or vitrified tile, is an upgrade to ceramic floor tile. The kiln temperature in the production of soluble salt floor tile is much higher than ceramic floor tile and due to its properties, it has higher breaking strength and the process is known as vitrification of tiles. Ceramic Vitrified tiles or Polished Vitrified Tiles Manufacturer in India. With Italian Technology, Quality as per European Standard. Wooden Strip Vitrified Tiles, vitrified wooden strip, Wood Strip Tiles, WOOD STRIP Manufacturer in Morvi.